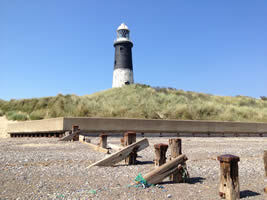 Spurn Point is an example of a feature geographers call a spit. The spit forms a sweeping curve which continues the line of the coast. 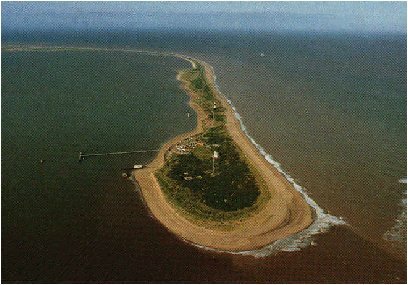 The sand which forms the spit has been transported along the Holderness Coast by longshore drift. The energy in the waves transporting the material reduces where the North Sea meets the Humber Estuary. As a result the material is deposited. This process is known as deposition.